SLSU – Southern Luzon State University formerly SLPC (Southern Luzon Polytechnic College) has been our long-time customer. Earlier this year a new building was constructed with a green accent (sofa and wall paint) on their school lounge. 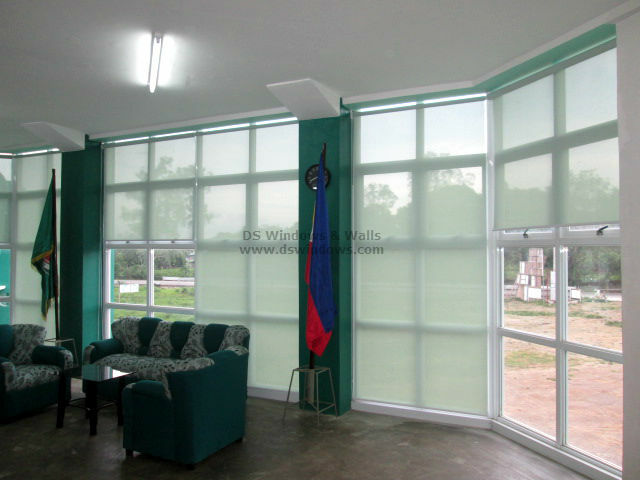 So they opted for a green roller shade fabric to complement the green theme of their school lounge. 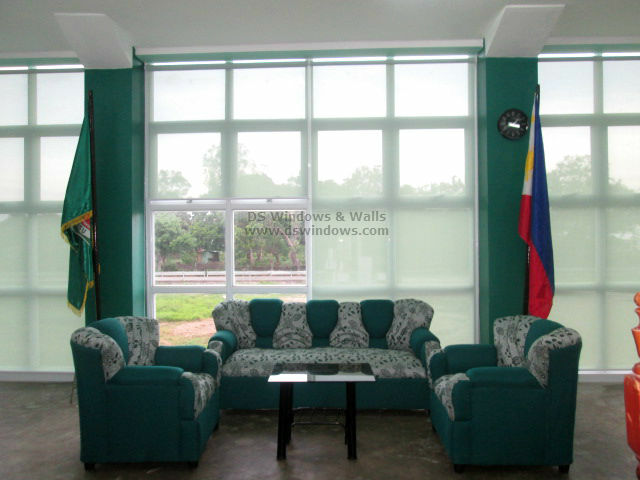 It is a nostalgia that a few years back they ordered PVC Vertical blinds and as expected they opted for Green Corr, again their school’s color theme. Fortunately, DS Windows & Walls have several roller shades fabrics so choosing the color motif for your organization shouldn’t be a problem. We also have yellow and blue aside from the neutral colors like gray, white, and beige. Makeover of any lounge or rooms is less of a hassle when your window treatment partner provides a wide range of choice and color. And since we also have a store in Quezon, SLSU will easily be attended should they have a problem in their roller shades in the future. Our client decided to buy the sunscreen roller shades because they still want to experience the natural light and enjoy the beautiful view outside. Sunscreen roller blinds can also lessen the U.V rays of sun to minimize the hot temperature and to protect the color of their furniture like their sofa and their flooring from fading. 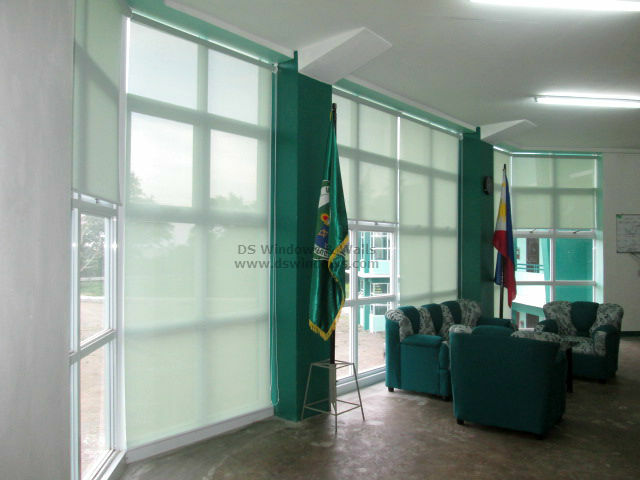 DS Windows and Walls also offers block out roller shades and other types of blinds. 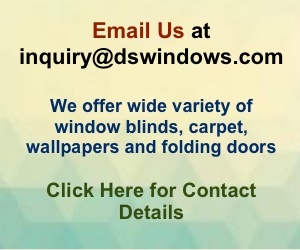 To check our different types of products you may visit our website at www.dswindows.com or you may visit our shop at 4th level Waltermart Makati, 3rd level Robinson Metro East Pasig City and 2nd level Pacific Mall Lucena City. Send us your measurement for rough quotation at inquiry@dswindows.com or call us at (02) 403-3262, (02) 668-9668, (02)893-1373 and 0916-311-3909.